This is how we were first briefed about the illumination project at Chaudière Falls that opens this week. 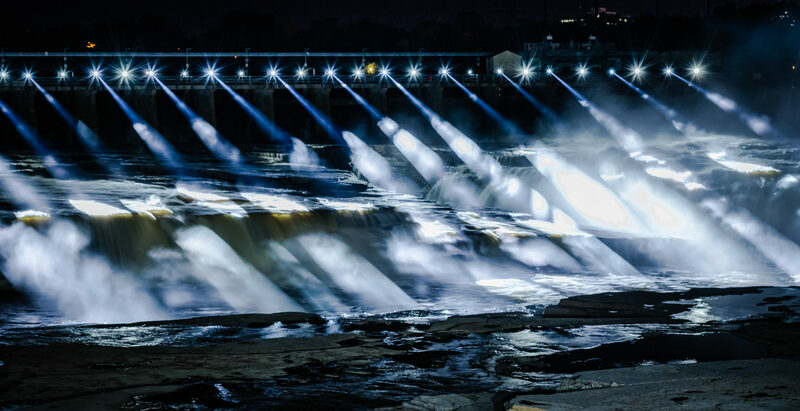 The Falls, a magnificent series of water cascades in the Ottawa River, has been blocked from the public’s view for a century by industrial buildings. But now that’s about to change. 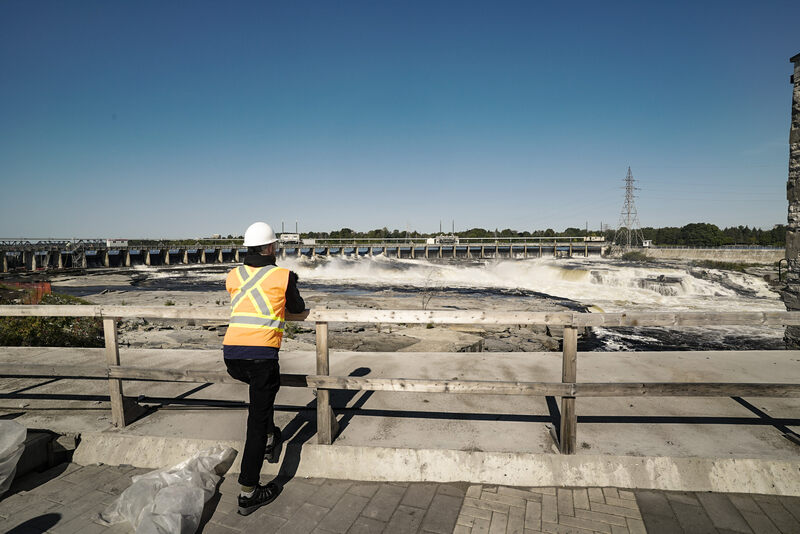 As part of a green energy expansion project, Hydro Ottawa has built a new viewing platform and gardens at the site that give people access to this natural beauty. People will finally be able to see and hear the cascading waters. The re-entry of a significant natural landmark into the public’s imagination is an important occasion as well as an opportunity to communicate the significance of the landmark. Guy Laflamme of Celebrations Ottawa 2017 contacted Moment Factory to create Mìwàte, a dynamic illumination and soundtrack that would capture and celebrate this moment. The Falls are a place of great significance to Indigenous Peoples, having been place of meeting, trade, and ceremony for more than 10 000 years. Given the meaning of this land to the First Nations, Inuit, and Métis communities, the illumination was designed as a tribute. 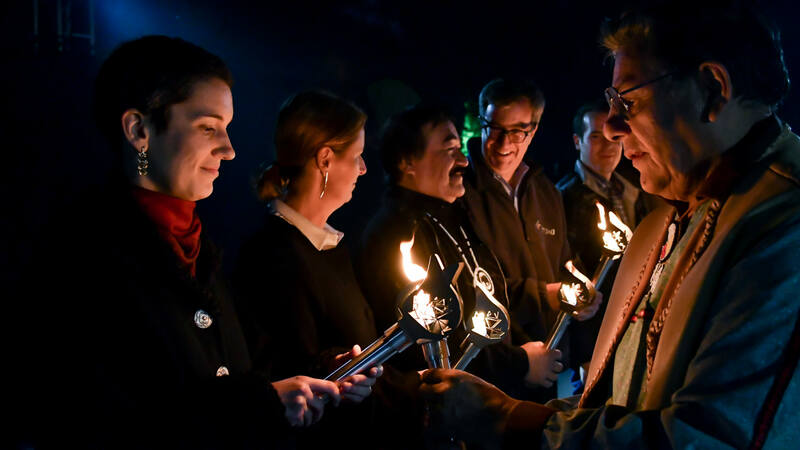 For the illumination to appropriately be a tribute, we sought to collaborate with Indigenous communities in as many ways as possible throughout the course of the one-month production. 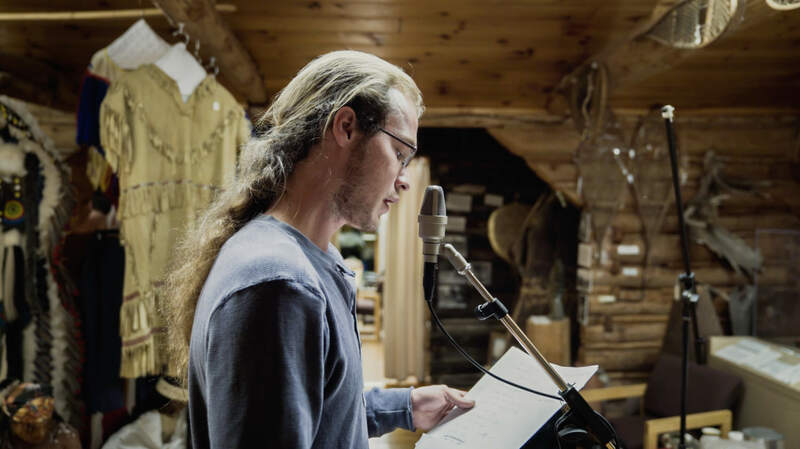 In particular, we worked closely with the Algonquins of Pikwàkanagàn as a host community for this project. 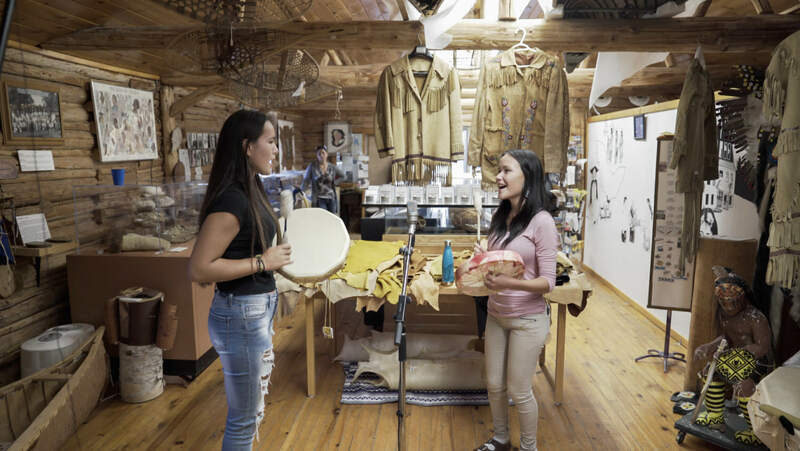 Through a sharing of knowledge and information over visits to Pikwàkanagàn, meetings with Chief Kirby Whiteduck and council members, a workshop for kids, collaboration with musicians, students, and artists, and even a few bowls of moose stew, project partners worked hard to create an inclusive process. During the project, we also consulted with Métis and Inuit representatives. Each community contributed texts, installed on site interpretive panels, that describe their presence at the site over millennia. The resulting illumination will reveal the Falls in a dramatic rush of energy, music, and light. We are honoured to participate in this meaningful project and to work with Ottawa 2017 and the Algonquins of Pikwakanagan to ensure a respectful and powerful approach.